Living on 12 acres of land there is always plenty of work to be done and lots of grass to be mown. 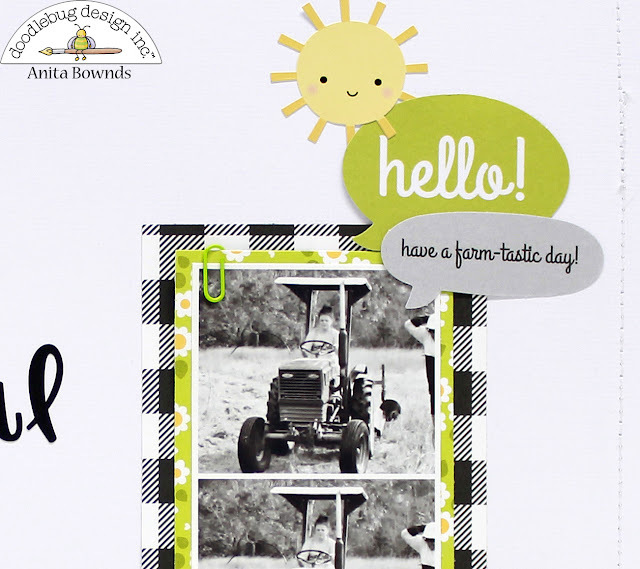 My daughter Eve loves to drive the tractor around the paddock and slash the grass so I thought it would be a nice memory to preserve, especially as we are working with the Down On The Farm collection. 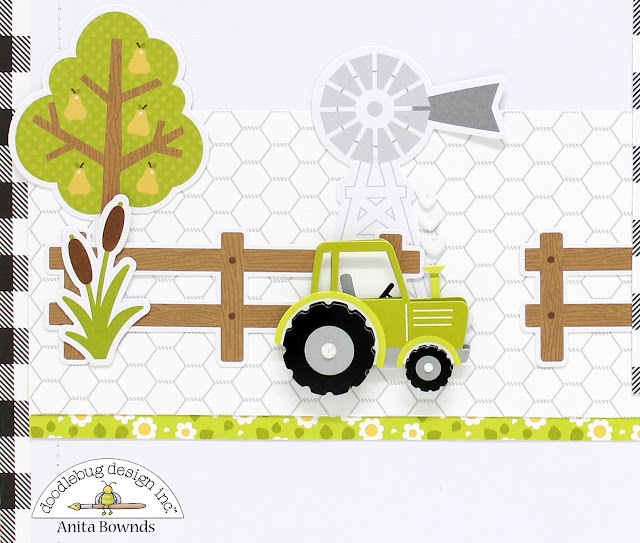 For the design of my layout I was thinking I needed to create a little farm scene on my page using the cute little tractor Doodle-Pop. 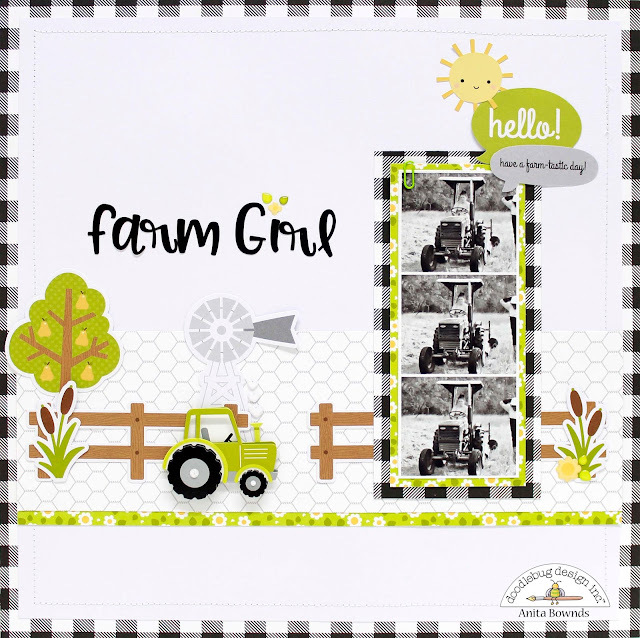 Next I added a strip of 'Chicken Coop' patterned paper across the layout then tucked a strip of 'Counting Sheep' underneath the edge before adding the fences, tree, windmill and reeds from the Odds and Ends ephemera pack and the little green tractor Doodle-Pop. 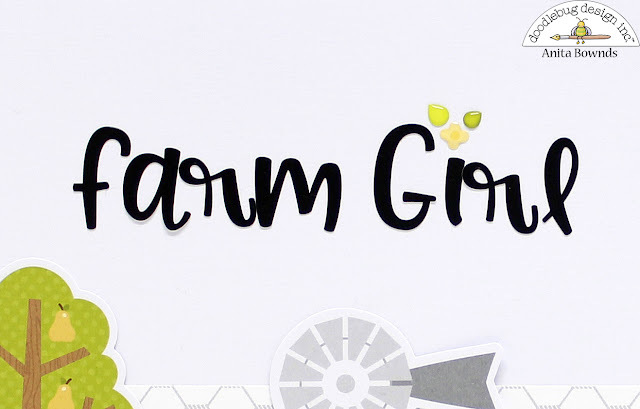 For my title I used Abigail beetle black alpha stickers then lastly I added some of the cute farm friends shape sprinkles to my title and to one of the reeds. I hope I’ve given you some inspiration today. I love the color palate on this! Fabulous layout!